For over 20 years helping people with their Home Interior, Decor and Soft Furnishing Classy Curtains have always visited customers. We have loved the notion of a wondrous fabric shop, offering elegant silk, velvets, walls festooned with gorgeous coloured fabric and ornate curtain poles, tassels and although we offer all this we have been so busy over the years you question is the time right for a curtain shop? But also people like a personal service, being waited on, enjoying being shown all these lovely patterns, stripes and floral designs. 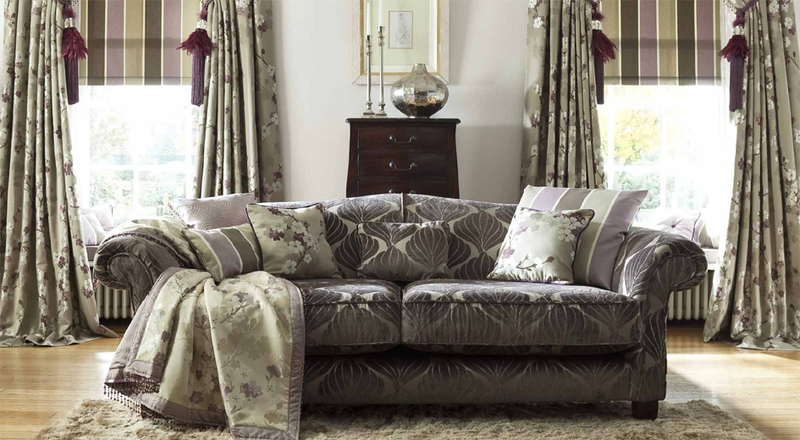 Flicking through pattern books, standing the samples up next to the wall paper, sofa or carpet. It’s comforting and re-assuring knowing there is a professional opinion at hand, discussing interior design options, curtain styles, cushions and accessories. Having all this brought to you makes the process special and lets face it, decorating a home isn’t cheap, so it’s important you get as much right as you can. Also, there is the reality of home appointments, what fabric might appear the right decision in the shop can change considerably once you see it at home and if you had to drag all the fabrics back to your house just see what they all look like in your bedroom …. ! it would be an uncomfortable impractical process. At Classy Curtains we discuss what your looking for prior to any appointment, we tailor the huge array of fabric sample books to a manageable selection, it could be based on colour, pattern, floral, plain or stripes or type of fabric, cotton, fire resistant, silk, velvet. You might already have a fabric and just need a contrast or idea what to do with it? And once we make the visit it might take another appointment to find the perfect fabric but what it does mean is you see the material in the environment it is intended for, see how it works in the light BOTH day and night as it makes a huge difference, we can order samples and you can live with the material for a while before you order. BUT, please don’t feel obligated in buying just because we came to your home, some times Made to Measure isn’t for every one, fabric can be expensive compared to Ready Made or discount warehouses. However, we are always happy to help and we find once people have us in their homes one little job leads to another and customers really value the personal service. So, if it’s a simple alteration, making an existing curtain fit a window, you need a blind for the kitchen to an entire house, please give Classy Curtains Ltd a call, we are always happy to help.